There is always a drugstore LE holiday collection every year that turns me into the drugstore stalker. I stalk the drugstores for weeks looking for this one particular collection. This year, the collection was the Maybelline Color Show Brocade collection. 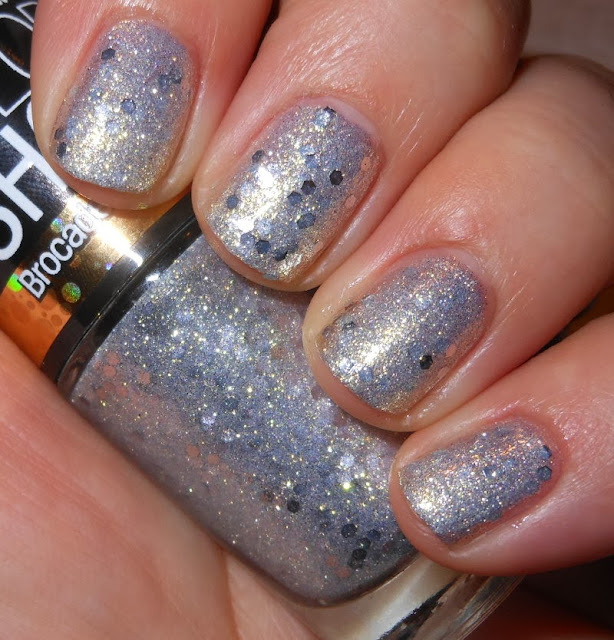 This collection has 8 multi-faceted glitters, but wait there's more. There is also a second display with two more polishes in this collection. I suggest checking out Nouveau Cheap's post to learn more about both of these collections. 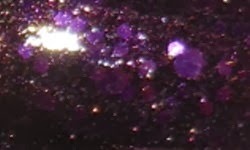 Amethyst Couture is a deep eggplant glass fleck with purple hex glitters. Beaming Blue is glass fleck icy blue with blue hex glitters. 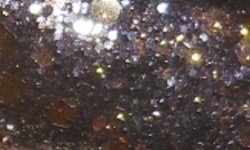 Black in Mirrors a is micro charcoal glitter with gold hex glitters. 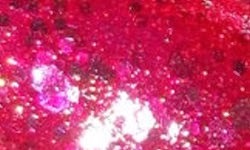 Crushed Crimson is a deep red glass fleck with small gold hex glitters and medium red hex glitters. 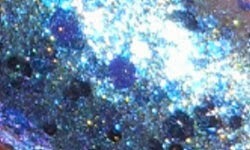 Embellished Blues is a denim glass fleck with small gold hex glitters and medium blue hex glitters. 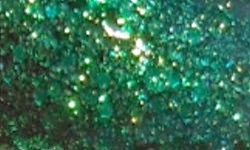 Emerald Elegance is a deep emerald glass fleck with small gold hex glitters and medium green hex glitters. 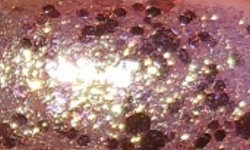 Gilded Rose is a sheer role gold glass fleck with small gold hex glitters and rose medium hex glitters. 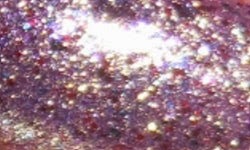 Lavishly Lilac is a lilac glass fleck with small pink, blue, and gold hex glitters and lilac medium hex glitters. Ruby Refined is a red glass fleck with red hex glitters. 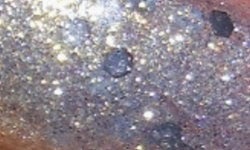 Silver Swank is a silver glass fleck with gold micro glitters and medium silver hex glitters. Colors: This collection is un-freaking believable. These are like Zoya's Sparkle collection from summer 2010, with added glitter. This is one of those times the nail polish company surprised me. I never could of even thought up a finish like this in my head. These have so much dimension. Fan-freaking-tastic. This collection is like have a treasure chest full of jewels. The only dupe here is Gilded Rose to a-england She Walks in Beauty, but the rest are completely and entirely unique. Formula: The formula on 9 out of 10 of these was good. The only dud in this collection is Black in Mirrors. 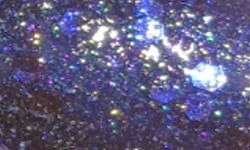 The other polishes in this collection had a base, Black in Mirrors was all glitter. I needed base polish for this one, and it was on the chunky side. The rest I used 2-3 coats of each. Price: These were $4.19 each at CVS. I've also heard these can be found at Bed, Bath & Beyond (with cosmetic sections) and Rite Aid. These maybe priced differently in your area. Overall: Run, don't walk to get these beauties. This collection is limited edition. The displays I've seen only have room for 2 polishes per color. The colors are beautiful. 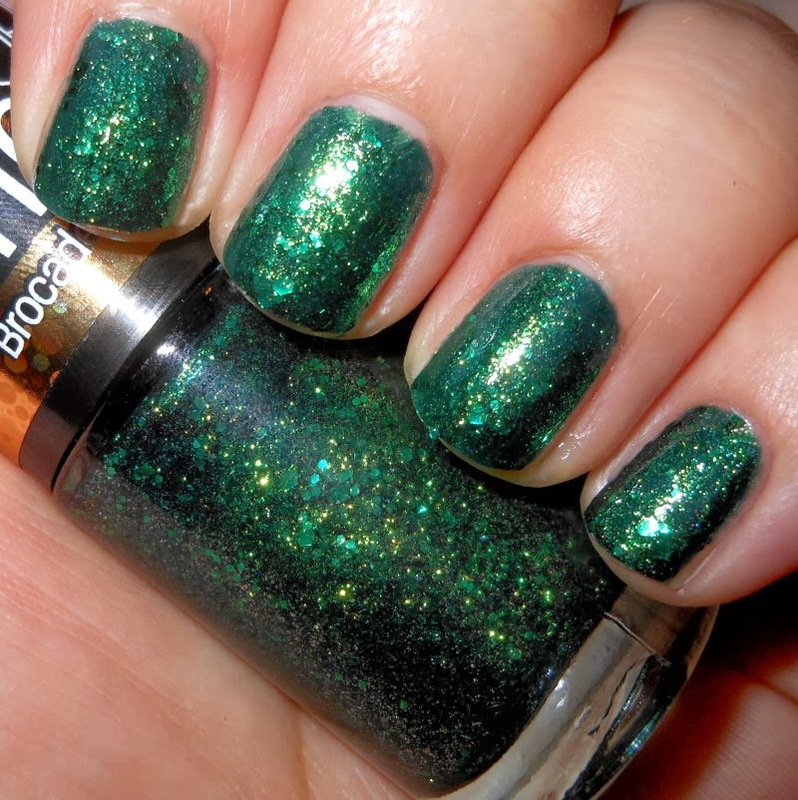 The finish of these polishes is something I have not seen before, and for them to be a drugstore polish is amazing. This is probably my favorite collection of the entire year, not just drugstore, in general. I can't pick favorites. The only one I say you could pass on is Black in Mirrors. Maybelline hit it out of the park with this one! I picked up 3 of these yesterday (Lavishly Lilac, Emerald Elegance, and Amethyst Couture). They are really lovely and I'm going to go back for a few more I think. Great swatches! I think I have 4 or 5 of these now but I want them all. They are so gorgeous. These look definitely interesting. I am going to hunt for a few shades. Gorgeous polishes! I especially like Emerald Elegance and Embellished Blues. Oh my...every time I swear off of polishes for a while. These are so beautiful! Looks like I will be heading to look for these tonight!! Love these too, and I had to stalk. Totally worth it! I thought these were it for me too, but L'Oreal has some that just came out too that are gorgeous. I'm loving drug store polishes right now! 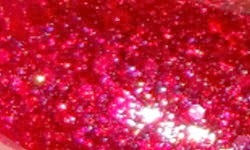 i think gilded rose and black in mirrors are really interesting colors and some i'd pick up! I only picked up Amethyst Couture, which I love love love. These are all really pretty. Your swatches make me want to go back and get some more. Wow there are some really winners in this collection. Nice pictures. There is no such thing as swearing off polish! I hope you found them! I'm already stalking for those L'Oreals! 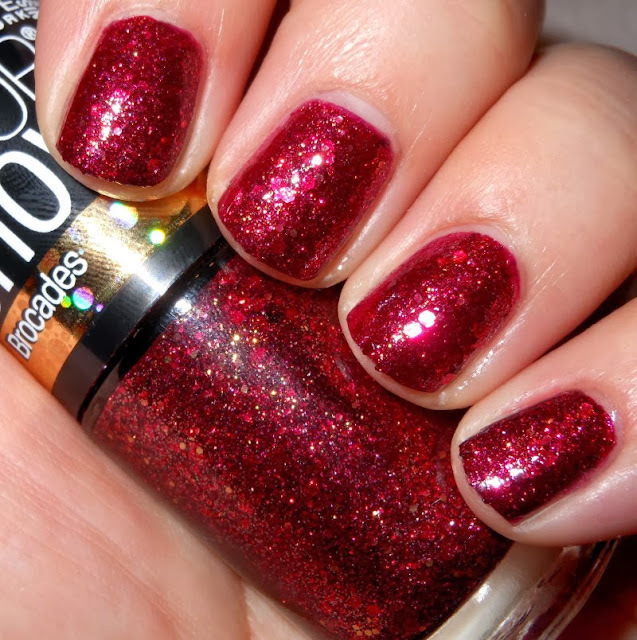 Drugstore nail polish wins big time during the holidays! I recommend getting these at CVS. Do you have a CVS ExtraCare card? I always get weekly 20%-30% off your entire purchase coupons in my email or mail for almost every weekend from them. I also get extra bucks and cosmetic coupons from their coupon machine in there too. I saved a lot with all of that on this entire collection. I hope you get them soon! Ha ha! I know! I have bought 11 bottles of polish since I posted that. LOL! 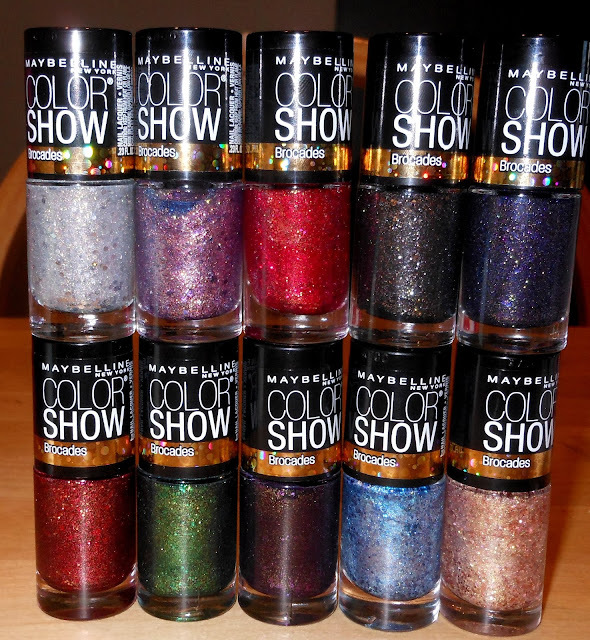 wow- I ran into this collection at CVS today- I had written off Maybelline color show and vowed never again. I tell you the brocades made me swoon! Even though I just got aengland She Walks In Beauty, I think I need to pick up Gilded Rose as a backup. I plan to get a few of these. Way to go, Color Show! "I never could of" = I never could have.